Posted on 19, July 2016 by EuropaWire PR Editors | This entry was posted in Education, Healthcare, Science, United Kingdom and tagged Dr Deborah Ritter, Dr Sharon Plon, inherited syndrome, severe lung disease, University of Sussex. Bookmark the permalink. BRIGHTON, 19-Jul-2016 — /EuropaWire/ — A rare inherited condition which can lead to infant death through severe lung disease has been discovered by an international group of scientists, according to new research published in the Journal of Clinical Investigation. Researchers from the Genome Damage and Stability Centre, at the University of Sussex, working alongside the University Medical Center (Utrecht, Netherlands) and Baylor College of Medicine (Houston, USA) have identified ‘lung disease immunodeficiency chromosome breakage syndrome’ or LICS – an inherited syndrome that is associated with severe lung disease. The study came about when Dr Jo Murray, from the University of Sussex, began working with the team from the Netherlands, to look at two baby girls from the same family who had both died of severe lung disease. The children had chromosome instability and were suffering from immunodeficiency, which had prevented their bodies from fighting infection. Defects in a gene called NSMCE3 were thought to have caused the disease in both the Dutch children. 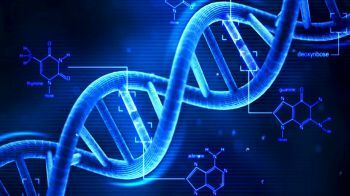 By using a new online genetic ‘matching’ service called GeneMatcher the Sussex and the Netherlands researchers were able to team-up with the Baylor College of Medicine in the USA who were also studying the same NSMCE3 gene in an American family. The US family had also sadly lost two children to lung failure in early childhood and had mutations in the same gene. Research teams from Sussex’s Genome Damage and Stability Centre, led by Dr Jo Murray, Professor Laurence Pearl and Dr Antony Oliver, discovered the problem in the children’s cells was caused specifically by a defect in the levels of Smc5/6 – a vital group of proteins that are needed for accurate copying and repair of DNA.